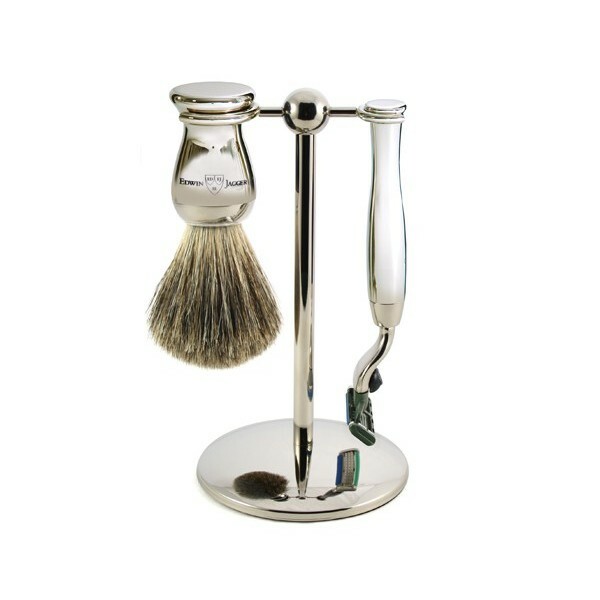 Three piece nickel plated slimline shaving set including razor, stand and shaving brush. set is 15cm high, 9 cm wide. (approx 6inches high, 3.5 inches wide). Availability: We have re ordered this item and it will be back in stock on the 15th October 2012, add to basket and we will dispatch once it arrives. 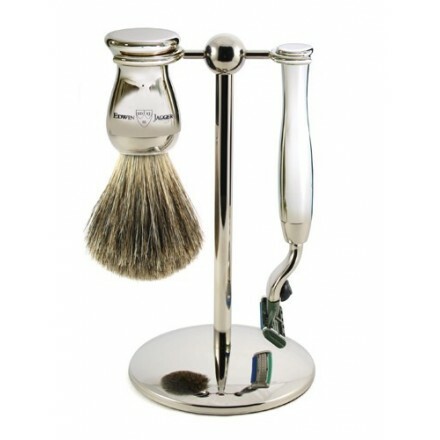 Three piece nickel plated slimline shaving set including razor, stand and grey badger hair shaving brush. For use with Gillette® Mach 3® blades, use our shaving soaps, exfoliant and pre shave lotion for the ultimate wet shave.